Earthenware bowl in style of Karchi culture. 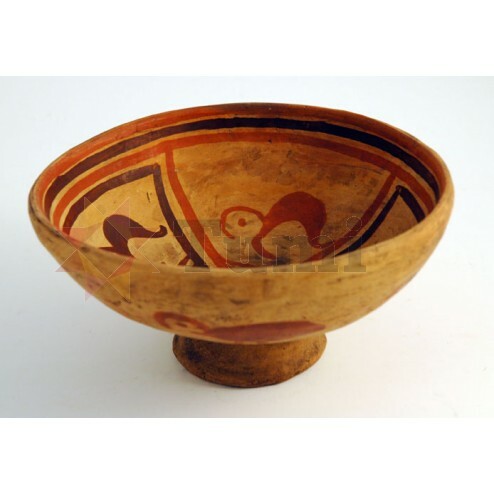 Hand made earthenware bowl from Ecuador[comma] decorated with designs based on those found in the Karchi culture (AD 1200-1500). The designs are applied with melted wax and the bowl is then dipped into a coloured slip. When the bowl is fired[comma] the wax melts away exposing the design. These bowls are not glazed and so are for decorative use only. Designs vary.